COLOURBLIND® was developed in 1991 for training Air Traffic Controllers in Great Britain — where team communication is fundamental to success and where absolutely no margin for error, misunderstanding or ambiguity can be tolerated. Since then, COLOURBLIND has been used worldwide across languages, cultures and business backgrounds, to focus on the fundamental skills of great two-way communication and the achievement of shared meaning. It is also used to explore team problem-solving, team understanding of abstract concepts and to explore team culture. 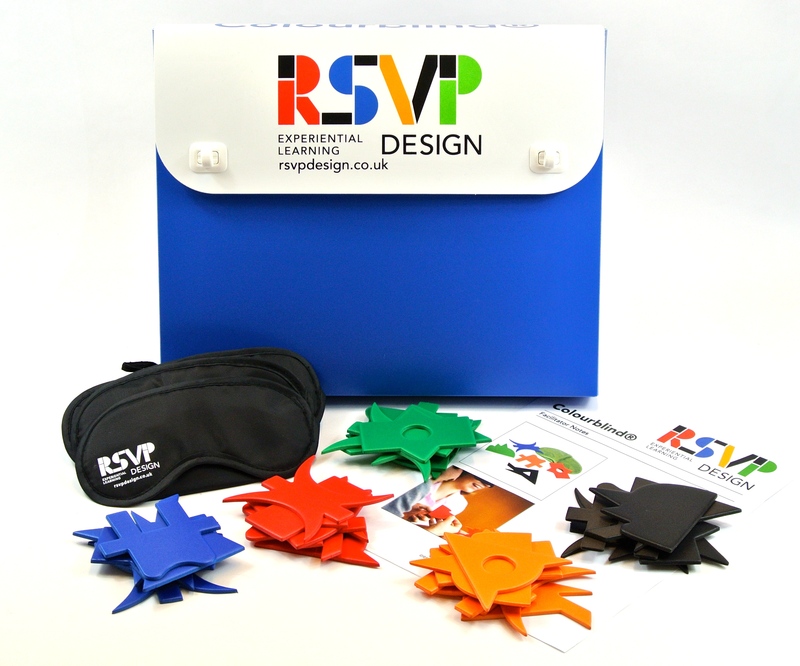 Wearing blindfolds to ensure total dependence upon the quality of their verbal communication, and holding a collection of small, irregular, coloured plastic shapes, a group works together to gather information that will allow them to solve a puzzle. The size of the group (between 4 and 28) demands different types of skill: information and group management, effective listening and questioning, strong chairing skills, the ability to clarify and summarize and the need for feedback to ensure understanding. We can facilitate this activity for you either as a stand alone activity or part of a workshop. We would love to share the benefits and rewards of this activity with you and your teams.